Here at Water Cooler Convos we have developed an unhealthy addiction to writer Kiese Laymon. Inspired by his personal tale of the Black Experience, we have done several pieces about violence, death, and tragedy in the black community. And, since nothing monumental has occurred to reverse these terrible consequences of growing up poor and brown, we still have material to feed our infatuation with the highlighted author. Last week, a 15-year-old girl named Hadiya Pendleton was shot and killed in what appears to be a gang affiliated attack. According to Chicago police, while the young lady was taking shelter from the rain in a Chicago park, a young man jumped over a fence and opened fire on a group of teenagers. She was shot in the back and later died at a local hospital. Pendleton had no gang affiliation but some of the other youngsters she was with were reported to have ties to Chicago gangs. Now, this may seem like a story we have posted here before. It may not even seem like big news since this happens so frequently. But, there is an especially notable point about this senseless crime. Hadiya Pendleton was not only an honors student, athlete, and all-around good kid, she performed at President Obama’s inauguration just last month. So, not only does this hit extremely close to home in a political sense for President Obama, who was a longtime resident of Chicago and the state of Illinois’ Senator before his election in 2008, it hits close to home in a personal sense for him too. This bright young lady was just at the Capitol celebrating President Obama’s second term. So, she was one of the “good” ones right? Pendleton recorded a PSA against gang violence and gun safety in elementary school. Sadly, she couldn’t have known that she would be a victim of the very violence she was working to prevent. Far too often we are having this conversation and seeing this headline. And, I have posted enough articles asking for real dialogue about gun safety to know that this is a much bigger problem. So, let’s just face it, here is something that we are not willing to admit. Most people think only the bad guys get shot. 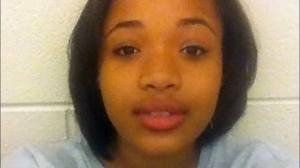 They don’t know any Hadiya Pendletons. They don’t know any Trayvon Martins. They don’t know any Jordan Russell Davis’. So, how could they possibly understand what it feels like to lose one of them? The more that the larger body of social culture in America convinces itself that gun policy won’t control “the bad guys,” the more all the brown good girls and good boys will be at risk for death due to gun violence. What happens next? We find out that Hadiya once painted her nails black so she must have been a bad kid? Or, maybe she kissed a boy once so she was promiscuous? This is how we deal with our gun problem. We find clever little ways to blame the victim for his or her demise. With Trayvon Martin it was his scary hoodie. With Jordan Davis it was his loud music. And, this is yet another way we kill ourselves and one another. What will it be this time? When we fail to recognize the common spirit of hope in each of us, we lose the humanity for all of us. This is not a gun problem. This is an ‘us’ problem. We can deny it as much as we want to but it is certainly true. And sitting idly by watching all the mayhem will never change that. So, I ask, what more can we do to prove that guns kill people? If all these dead children are not evidence enough, what is? This post’s topic was suggested by one of our loyal Facebook Fans and an avid Water Cooler Community member. Check us out on Twitter or Facebook if you’d like to bring topics to the Water Cooler too!